The participant will be asked a total of 2 questions per day. Every questions will have two options and user need to select one right option. For every right answer user will get one point. There is no negative marking for wrong answer. Those who have scored highest point during the campaign period they will be eligible for a grand prize i.e. Oneplus 6T. If there are more than one highest scorer luck draw will be conducted to announce the grand prize. The grand prize winner will be announced at the end of the	campaign. If any participant join the campaign on 2nd day he/she will get four questions, like wise if anyone joins on 10th day he will get 20 questions so that the interest among them keeps intact for grand prize winner. Bongo shall handle and arrange the campaign. The campaign budget shall be managed by the service provider. Service provider will provide the list of MSISDN who have scored the highest points. Lucky draw will be conducted with the help of Digital service and customer care team. Bongo will take the responsibility and selection criteria of the winner. In order to participate in quiz the participant must be 16 years and above and must have a valid Nepali citizenship or any valid identity document. Employees of Ncell and Service Provider and their immediate families are not eligible to participate in quiz. Daily winner will be selected based on highest score of that particular day. If there are more than one highest scorer luck draw will be conducted to announce the daily winner. 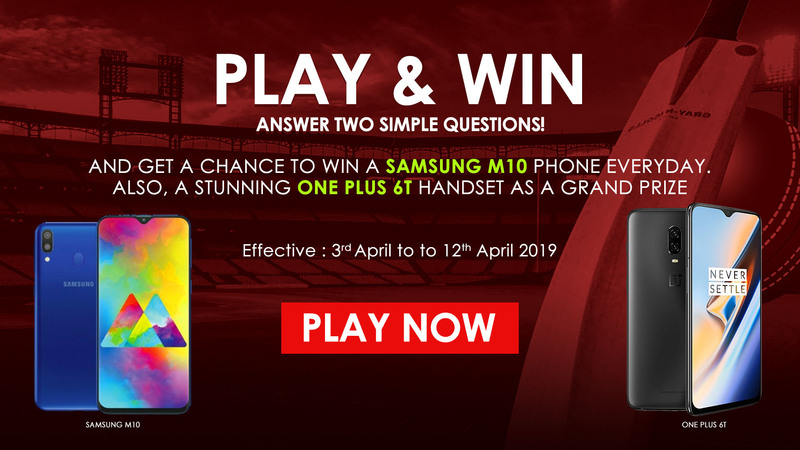 One lucky winner will get a Samsung Galaxy M10 phone on daily basis during the campaign period. User must verify their identification from the SIM ownership and Citizenship/Driving license/Voters ID card. They must present the identity verification document to collect the prize. Please accept the terms and conditions to proceed to play quiz..
Hi, please click on subscribe button to enjoy the service. Monterrey will take a priceless slender 1-0 lead back home following Tuesday's opening leg in the all-Mexican decider. Read More..
Confidence is high at the Philadelphia 76ers after Joel Embiid helped guide the team past the Brooklyn Nets and into the second round. Read More..
Dennis Schroder's antics in Game 3 riled Damian Lillard, who got revenge over the Oklahoma City Thunder in the NBA playoffs on Tuesday. Read More..
London's reign as host of the ATP Finals will come to an end after 2020, with Turin set to hold the showpiece event between 2021 and 2025. Read More..
Melbourne Storm are seeking a seventh straight win over New Zealand Warriors as round seven of the 2019 NRL season kicks off on ANZAC Day. Read More..